“Stephen Decatur” is written beside the front entrance of Decatur School, but partially obscured by shrubbery. Decatur Elementary School at 7711 43rd Ave NE in Wedgwood is on the site of what was Navy housing from 1945 to 1966. The first part of the school building was completed in 1961. With a later addition to the building and expansions of the playground, by 1966 the Decatur School occupied its present entire ten-acre site from 40th to 43rd Avenues NE, NE 77th to 80th Streets. In addition to the Decatur School site, there was Navy housing on some, but not all, surrounding streets near NE 77th Street and 40th Ave NE. See the map at the end of this blog article for the location of the Shearwater housing on the present school site and on nearby streets. This is the first in a series of five articles about the Shearwater Navy housing and what happened to it. 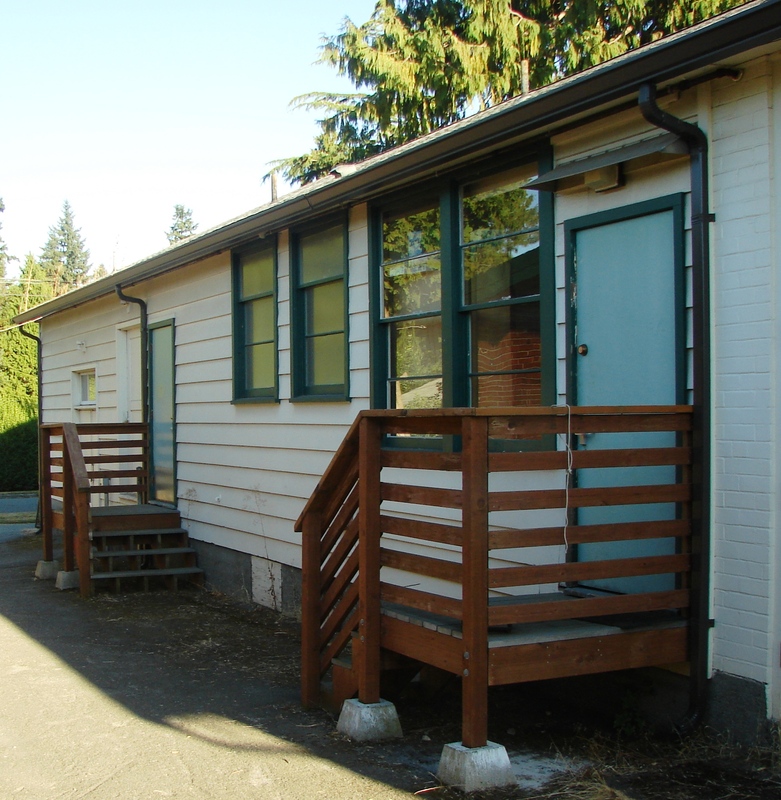 Another article on this blog is about the Decatur School and the new building on the same site, the Thornton Creek School. Seattle Housing Authority report of the year 1945 showed that applications for housing got higher and higher after the war. In the years following the end of World War Two in 1945 the military population in Seattle swelled enormously as men and women in the service returned from overseas. For the first time in US history, the end of this war did not mean that military units dissolved and everyone went home. Because of the ongoing threat of nuclear war, the USA resolved to maintain a large peacetime fighting force at the ready, and the military wanted to retain those who had received a high degree of technical training of various kinds, including pilots. For this reason some people from all branches of the military elected to continue serving rather than leaving the military after the close of World War Two. The post-war housing shortage for servicemen and their families in Seattle had a direct impact upon the Wedgwood neighborhood because a large number of Navy personnel were attached to the Sand Point Naval Air Station and would continue to serve there after the war. The Wedgewood Estates Apartments is one of the few businesses in the neighborhood which still uses the extra “e” in the name. The rental office is at 3716 NE 75th Street, in one of the original brick fourplexes which opened in 1949. As of 1945 there were no apartment buildings in the Wedgwood neighborhood, so there was no place for servicemen and families to find short-term housing. The pressure of post-war population was one of the reasons for building the Oneida Gardens Apartments at 3716 NE 75th Street, now called Wedgewood Estates. From the time of its opening in 1949, so many Navy families lived in Oneida Gardens that many people thought that the Navy owned the complex. Oneida Gardens received post-war construction project loans from the federal government but the apartment building was privately owned and developed. In the 1980s new, three-story buildings were built between the original brick fourplexes, and the name of the apartment complex was changed to Wedgewood Estates. 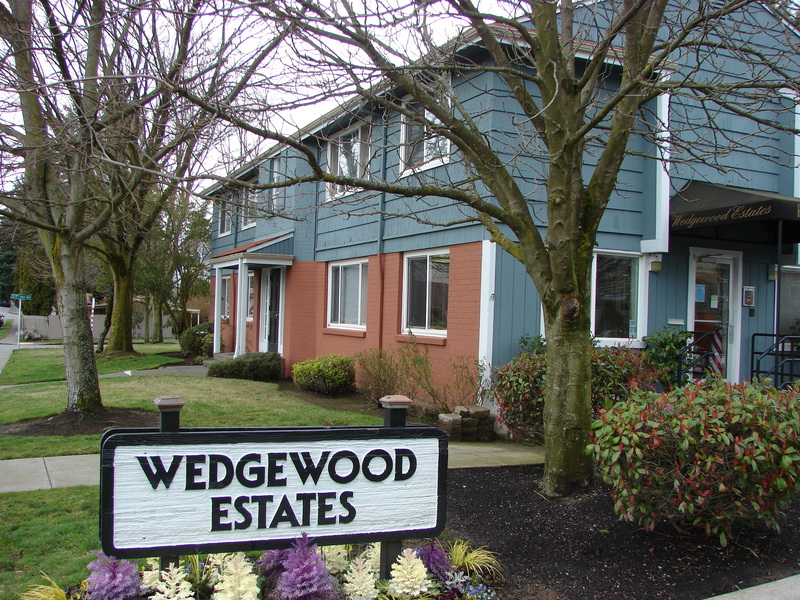 Wedgewood Estates was purchased by Seattle Housing Authority in the year 2001. There are both market-rate and subsidized apartments within Wedgewood Estates. The shearwater is an ocean-going bird, so Shearwater was chosen as an appropriate name for the Navy-occupied housing in Wedgwood. The Navy did not want to build housing off-site of military bases, so they relied upon other means of finding housing. In addition to the present site of Decatur Elementary School, the 315 units of Navy housing in Wedgwood were scattered on parts of several blocks around 40th Ave NE and NE 77th Street. 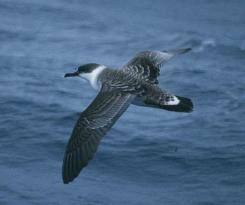 The housing project was named for an ocean-going bird, the shearwater. 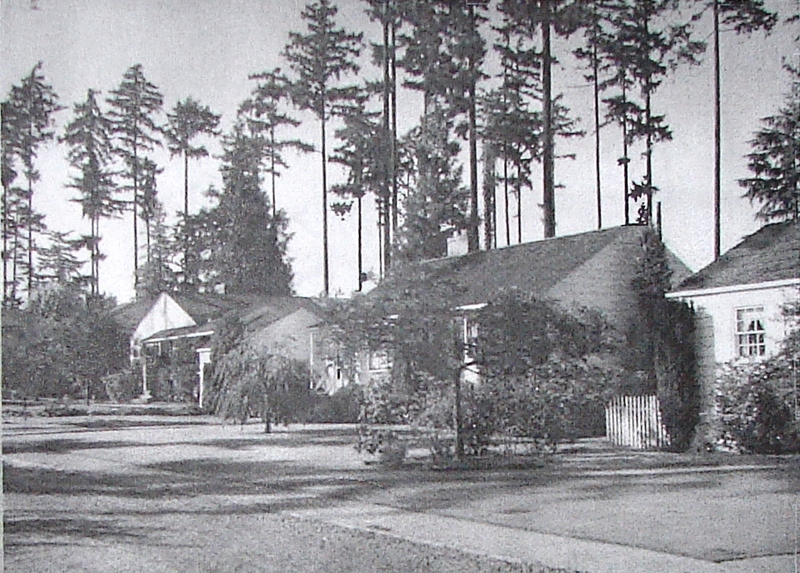 The Shearwater buildings in Wedgwood were long, rectangular wooden structures divided into two or more apartment units. The buildings had no foundations. Each building was supported by a wooden platform with steps up to each unit. The Seattle Housing Authority annual report of 1945, indicated that the housing was not of very good quality because of extreme shortages in building materials. Shearwater was regarded as temporary housing. Wedgwood School at 2720 NE 85th Street opened in 1953 with all-portable classrooms while the permanent building was under construction. Shearwater housing was first intended primarily for civilian workers at Sand Point Naval Air Station or unmarried servicemen returning from the war, but it wasn’t long until the housing was mostly occupied by military families with young children. The post-war population soared. The nearest school, View Ridge Elementary at 7047 50th Ave NE, did not yet have a building and was operating with only portable classrooms. By September of 1946 View Ridge Elementary had twelve portables for grades K-6. After the View Ridge school building was constructed in 1948, it still was not adequate. In 1950 the school’s enrollment was 765 students, with a number of portable classrooms on-site. Werner Lenggenhager took this photo of Wedgwood houses on NE 84th Street, looking northward, in 1953. Photo courtesy of Seattle Public Library Historic Photo Collection. New homeowners in Wedgwood in the post-World-War-Two period of the 1940s and 1950s considered Wedgwood to be an area of single-family housing only. Developer Albert Balch had built the first Wedgwood development on a forty-acre site from NE 80th to 85th Streets, 30th to 35th Avenues NE, completed in 1945. Because Balch had obtained and developed the entire tract, the original Wedgwood was like a planned housing estate with unified house styles and with all streets, sidewalks and lighting put in. Post-war families were very attracted to the tidy, white-picket-fence character of the original Wedgwood, and it became the measuring standard for new housing on nearby streets. A cement block house built in minimal traditional style in 1949 in the Wedgwood Park plat, 4200 NE 85th Street. As he continued building in the postwar period, Balch built in different styles but always on attractively laid-out streets with finished curbs and sidewalks. After the original Wedgwood development on the west side of 35th Ave NE, Balch next developed some large sites on the east side of 35th Ave NE such as the Wedgwood #2 and Wedgwood Park plats. Homeowners on the eastern side of Wedgwood over toward 40th Ave NE wanted the consistent, Balch-style Wedgwood look for their streets, including finished curbs and sidewalks. Homeowners were developing a “Wedgwood identity” which did not include multiple-family housing such as apartments, duplexes, or Navy barracks-style buildings, as they felt it detracted from the look of the neighborhood and might even devalue their property which was nearby. These concerns were the reason why an Eastwood Community Club was organized in 1946 by Fred Kane. The Eastwood Community Club had two goals: to get rid of the Navy buildings and to change the zoning of the Shearwater housing area from multiple to single-family-only. An additional concern was to prevent 40th Ave NE from being fully developed as an arterial where commercial buildings might potentially go in. The only way to prevent this would be to make the zoning single-family-residential-only. The Eastwood Community Club began these efforts in 1946 and soon merged with other neighborhood activists to form the Wedgwood District Community Club as of 1950. The original Shearwater office building (not a residence) was placed on a permanent foundation, located at the corner of NE 77th Street and 43rd Ave NE, next to Decatur Elementary School. Little did Wedgwood neighborhood activists know, in 1946, that it would take another twenty years before all the Shearwater buildings would finally be torn down. Some of the factors which delayed the process were the continued post-war housing shortage and the high number of military personnel attached to Sand Point Naval Air Station. In 1947 the Cold War began, defined as a time of political and military tension based in part on fear of the Soviet Union’s possible aggressive expansion of Communism. Fear of another possible war caused the USA to keep a large number of military on duty instead of reducing active forces at the close of World War Two. From 1950 to 1953 the Korean War caused the USA’s west coast military bases such as Sand Point Naval Air Station to increase population once again. During all that time in the 1950s, Shearwater in Wedgwood with its 315 housing units was still occupied by Navy families. 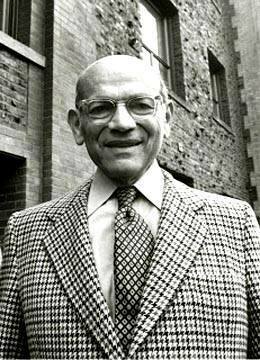 Jesse Epstein in 1980. Photo courtesy of Seattle Housing Authority. Just south of Wedgwood, the View Ridge neighborhood had an emergency housing development called Cedar Vale, centered around 43rd Ave NE between NE 73rd to 75th Streets. Cedar Vale was ordered built in 1943 by Jesse Epstein, executive director of the Seattle Housing Authority. His name today is best remembered for his work on the Yesler Terrace Housing Development. Cedar Vale was intended to provide housing for civilian workers at the Sand Point Naval Air Station or other wartime industries. Cedar Vale was small individual houses, not barracks-style like Shearwater, and Cedar Vale, with its 200 units, was never given over to the Navy to manage. Ads for Cedar Vale houses ran in the Seattle Times newspaper in 1952-3. Albert Balch, developer of View Ridge and Wedgwood, acquired the Cedar Vale property. His plan was to sell the existing houses to be moved to other sites so that he could build new, larger homes. Today the former Cedar Vale site on NE 73rd to 75th Streets, located just north of View Ridge Park and Playground, has 1950s houses built by Balch. In September 2016 a second, separately operating school, Thornton Creek Elementary, was built on the same block with Decatur School. In contrast to Cedar Vale in View Ridge, the Shearwater housing in Wedgwood was not concentrated in one area, but was scattered over several blocks. The 1965 auction map (below) numbered the Shearwater sites as Parcels 1 through 5. The “school” block as marked on the map is today the site of two separately operating schools on the same block: Decatur in the original building at 7711 43rd Ave NE, and the new Thornton Creek School, 7712 40th Ave NE, which opened in September 2016. The original Decatur School building on the site, facing 43rd Ave NE, was built in two phases, 1961 and 1966. The blacked-out sections on the auction map below, were not part of Shearwater and were not owned by the Navy; these were areas of private homes. Continued in part two of the Shearwater story: In the 1950s the Wedgwood Community Club got serious about getting rid of Shearwater. 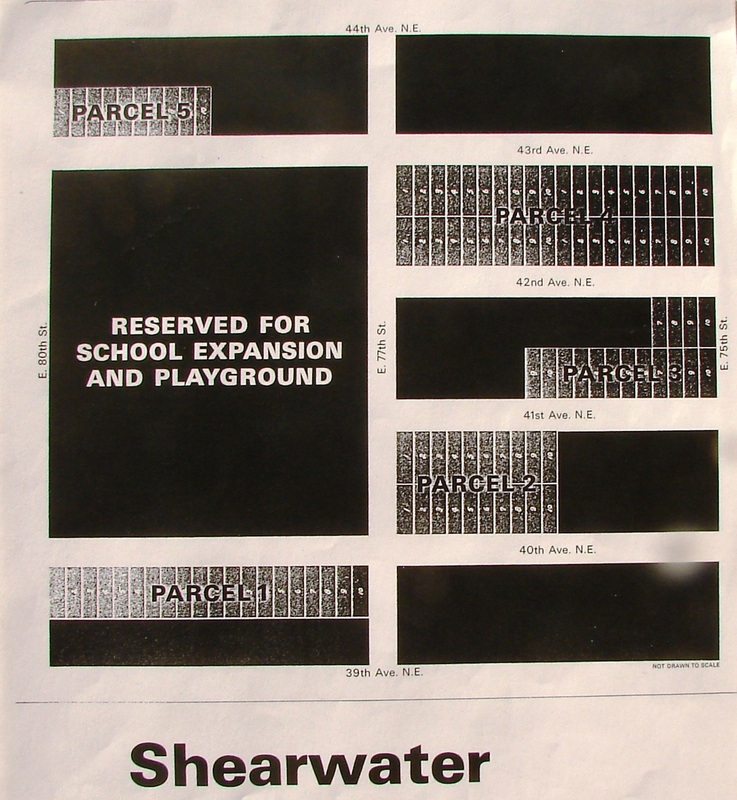 When the Shearwater site was auctioned in 1965, the parcels for sale were numbered 1 through 5. The other blacked-out sections were not owned by the Navy and were not part of the auction. 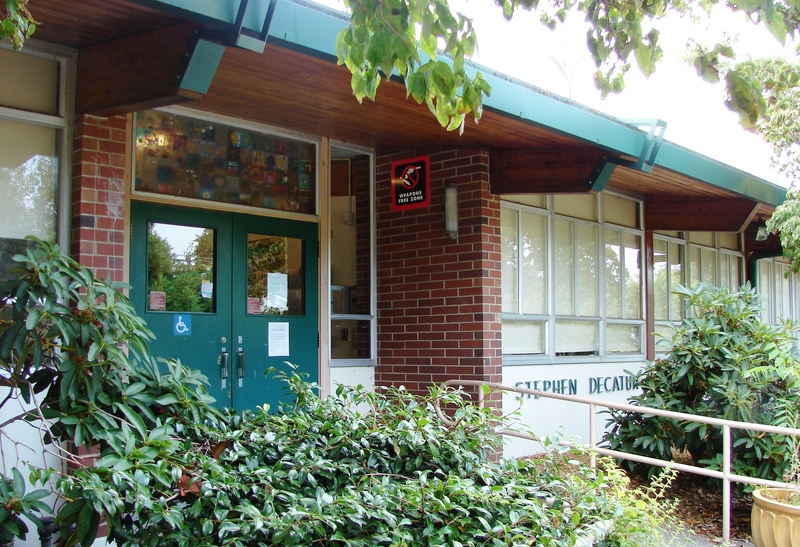 The “school” site now has two separately-operating schools: Decatur Elementary School (1966) facing 43rd Ave NE and the new Thornton Creek School (2016) facing 40th Ave NE. This entry was posted in apartments, Balch, community club (old), Controversies, School histories, Shearwater and tagged Decatur Elementary School Seattle, Navy housing, Neighborhood History, Seattle. Bookmark the permalink.